Duffy, 23 is a new outgoing singer from Wales. Girl’s voice is powerful and genuinely its soul. Her first album “Rockferry” is the biggest hit of this year in Britain. Last year it was Amy Winehouse amazing us with her talent, but she won’t last long with her drugs problem. 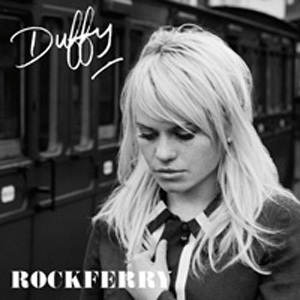 Duffy is a new fresh wave of partly 60’s soul, partly funky 70’s mixed up with a cool modern splash. The single “Mercy” has been on top of the British music charts for the last few weeks. Duffy’s magnificent voice is singing “Why don’t you release me?” accompanied by sounds of big band. Her past is quiet different from other celebrities in the way that she was raised without being able to have full access to the music. Duffy didn’t have her own cd’s and the place where she lived had no music stores. All she was listening to was music collection of her father which included The Beatles, Rolling Stones, Millie with her “My boy lollipop”. Duffy said she was feeling so excited and overwhelmed by that particular song and that this is how she got where she’s at right now. Rare sounds for my ear. i think i could listen to her album for couple of times. she’s like a New-Old-Yankee!